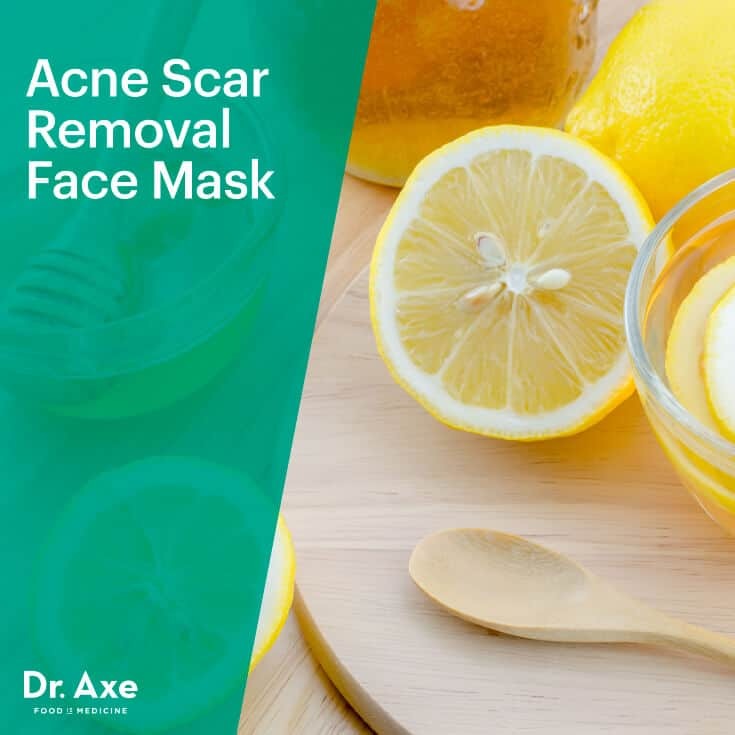 Next, to address the unsightly scars that can form, try my acne scar removal face mask. Relying on essential oils for acne — such as tea tree, frankincense and helichrysum essential oils — it’s a careful blend of powerful ingredients meant to naturally reduce scarring. Apply every day for about eight days, but discontinue if you notice any discomfort. Will this work for very old scars? Did you get an answer for this? I was wondering the same thing. sounds great. I will have to try it on my teenagers. Thanks for all the great information. I was wondering if it works for old scars as well, say scars that have been on my face since 2009? Is this ok for those with rosacea? Rosacea is a sign of gluten intolerance. Did you know that. Thought I’d pass it on. I did not know this!!! Thanks!!! I cured my rosacea by flooding the body with probiotics. I battled cystic acne for years. When I was 63, I went on an anti-inflammatory diet for my arthritis. In 3 days of eliminating all wheat, my cystic acne completely cleared up! I am antibiotic resistant because that was the only thing that cleared up my acne. I am thrilled to have found out gluten can cause acne, but I am upset that doctors don’t seem to know this, and so many of us have used antibiotics for years! Of course my gut health is horrible; I have recently started taking probiotics from the health food store. I am feeling better and I don’t seem to catch every little cold etc that comes around, like I did before. Back to the gluten; it is cheap to try and eliminate all wheat/gluten from your diet to see if that is your problem. And much cheaper than antibiotics, doctor visits. It did take me 2 weeks of withdrawal from wheat, but after that I completely lost craving for it. My favorite food was yeast bread, and now it doesn’t appeal to me at all! I would have gladly given up anything to have clear skin as a young person- I know everyone who suffers from acne knows what I am saying! I pray you all find the solution to your particular acne problem. I’ve seen a lot of young women whose birth control hormones cause a strange type of acne as well, characterized by congested pores and blackheads. As soon as they get off the hormones, their acne disappears. I hope this helps someone. Thanks for the recipe! I don’t have helichrysum oil is there anything I could replace it with? Hopewell Essential Oils has a helichrysum blend that works like true helichrysum but is much less expensive. Dr. Axe can you tell me if the above mask will do anything for cystic acne .. I am 61 but when I was 16, a doctor tried to remove a cyst from my left cheek only to have broke it up and today it still flares up. I am hoping you have something that I can try to calm it down when it starts to aggravate. Thanks so much, for all your great write ups. I use Tea Tree Oil, Grape Seed Oil, Peppermint Oil, Myrrh, and Frankincense Oil for my cystic acne. I wash my face and put some on my face at night. My acne is gone. How long did it take for you to work? I mix Tea Tree Oil, Grape Seed Oil, Peppermint Oil, Myrrh, and Frankincense Oil for my cystic acne. I wash my face and put some on my face at night. My acne is gone. Hi Michelle, please could you give me the amount of each oil? Thanks. Nerium really helped me with my cystic acne! Can I replace the helichrysum oil with myrrh oil? Hi, im a newbie here, i just found dr.axe on youtube couple days ago, and ur info is interesting how it’s all about the inside, about what we eat, n most of us forgot bout that only care about using stuff on our face. Si here’s my question. What kind of scar does this mask remove? I had boxcar and rolling scar the most, will it help ? And also, essential oils in my country is so expensive n hard to find, is it ok to not use it ? What does those essential oils function ? Thanks doctor. Thank you for the wonderful article, I would like to share a useful tip with any woman who is struggling with aging lines and wrinkles. I’m only 36 and when these lines started to show up in my face it was a total nightmare, it really affected my confidence and productivity. I tried multiple products, homemade face masks but nothing really helped, all I got was dry skin and no results. When I asked my friend Emma for help, she suggested the Dead Sea Spa Elixir, it’s an all-natural skincare and spa cream. I couldn’t believe how that changed my life, no more wrinkles and my face looked so shiny and young more than before. Stop wasting your time on any other products, Check their web page here http://beauty-life-hacks.blogspot.com and thank me later. Be cautious using nerium. 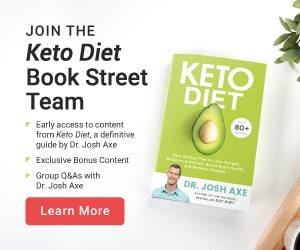 I had never heard of this product before so did a bit of research. It is my understanding that nerium is an oleander which is a beautiful shrub but every part is toxic. Do your homework before you apply to your body. That is so pore clogging. I have read it is toxic.. A friend of mine put her son on him and it broke him out. Nerium is not made to treat acne. It’s an Estheticians nightmare. Do you know what will work on sun marks on the face? Or liver marks, though am sure mine was caused by swimming in the middle of the day. I have brown skin (of East Indian descent). This looks like something I would like to try. I am allergic to almond oil and tea tree oil. It says you can use olive oil instead of olive oil. I would like to know what to use instead of tea tree oil so that it will work? Any ideas? Thanks and best wishes. I would suggest substituting lavender essential oil. 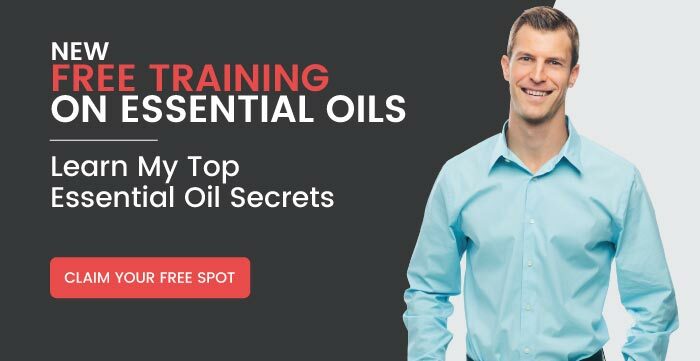 I’m very sensitive to essential oils, and have had contact dermatitis (an eczema-like reaction to contact with essential oils) several times from essential oil preparations which were not diluted enough. Lavender is gentle on the skin and contributes to skin health and healing, as well as being antimicrobial like tea tree oil. The same here- tea tree irritates me,lavendar is wonderful! Is there something I can use in place of helichrysum oil? It is outrageously expensive for a tiny amount? Will this work on pitted scars also? These scars are over 20 years old. My skin breaks out more when using Tea Tree oil, is there an alternative for this essential oil or is it better to make the recipe and just exclude it? I have a 15 year old son suffering from cystic acne. Is this helping your daughter’s inflammation and acne too? Did you follow recipe accordingly. We don’t have heli though and I know it’s super expensive. Wonder if I can find a replacement oil. Will this work on old scars ? Hi Sandra, you can use this mask on older scars. Everyone’s skin is very different, so results may vary. will this work for acne marks? Hi Ariel, yes, this mask is intended for use on acne marks. Hi, Dr. Axe. How about for chicken pox scars (old and new scars)? It is actually working but very slowly .. A person has to be very patient but yes u can see the result day by day.. I was wondering if I could add evening primrose oil to this to help my scars that are very very old. Or would you suggest Sea buckthorn seed oil? Are there alternatives to frankincense essential oil and helichrysum essential oil as I cannot get a hold of those in my country? Hello! In the video on youtube, you say that Vetiver is one of the best oils for acne. If that is so, why is it not included in this mask? I’m just curious.. Trying to figure out which oils I actually need to spend money on. Thank you! Dr Axe I see so many comments. Could you respond please about old scars if your face mask will work? I read al the questions that you have since 2016 . My brother had scars from the acne that we would like to be treated before is later. Hi Gina, you can use this mask on older scars. Everyone’s skin is very different, so results may vary. Hello i didnt find helichrysum , so with what i can replace it? Will this work for sensitive skin Dr. Axe? I have v oily skin too ,will using this oils make my skin more oily? Hi Dr . Axe I just discovered your website and YouTube channel, and it’s really helpful. I wanted to ask if u have acne, should u wash Ur face with warm or cold water ?? Please i would be grateful if you replied, as it’s really needed. Can you use just any kind of over the counter honey and lemon juice? Dr. Axe, I have a severe skin allergy to Frankincense oil. Could I replace the Frankincense with more Tea Tree oil or Helichrysum oil? Thanks. Could you tell me if it is necessary to refrigerate the face mask after ingredients are mixed?